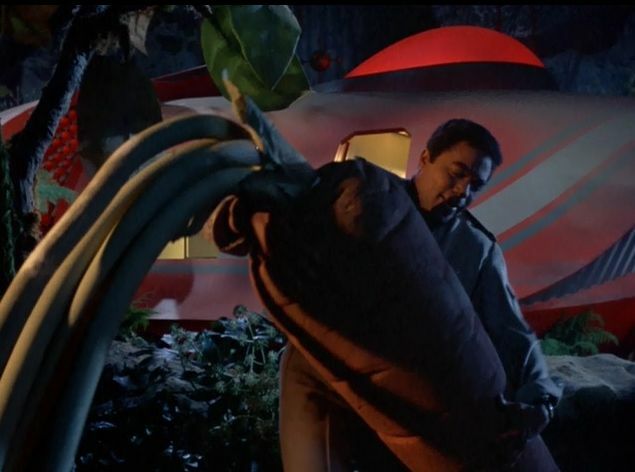 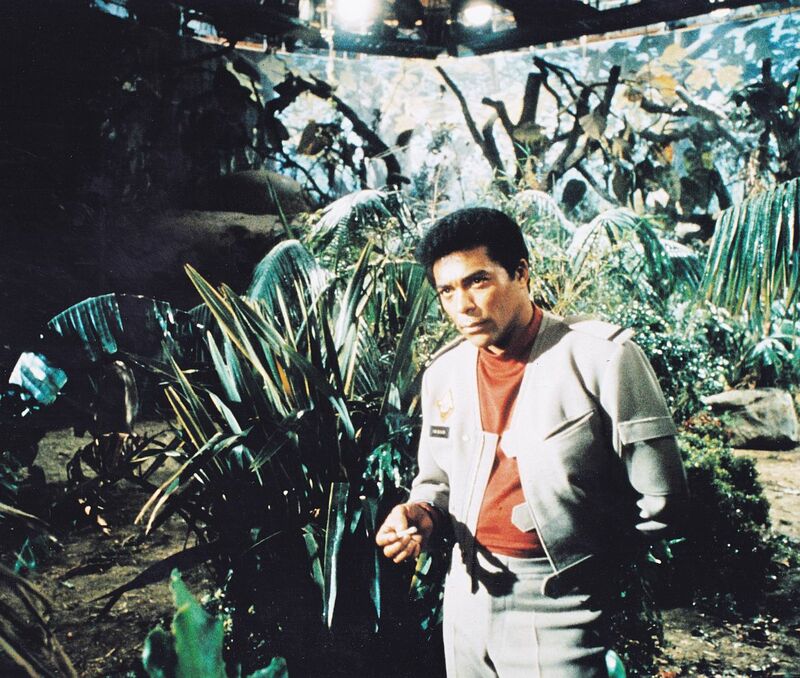 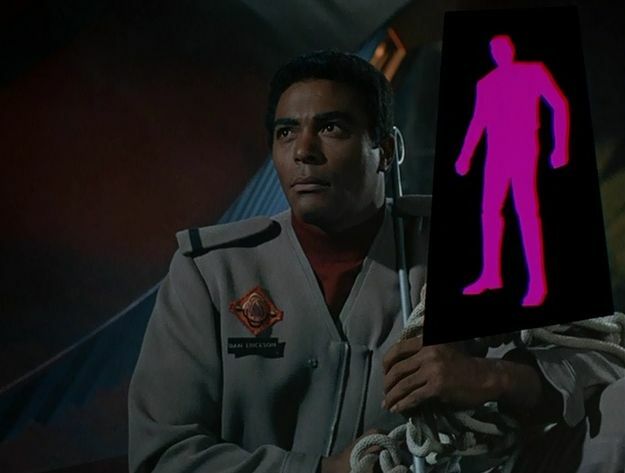 To all Sci-fi Fans and people who would like to see a Remake of "LAND OF THE GIANTS" as a Major Motion Picture. 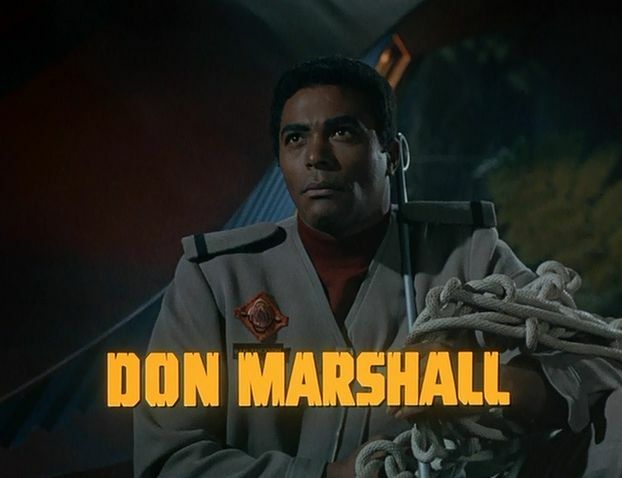 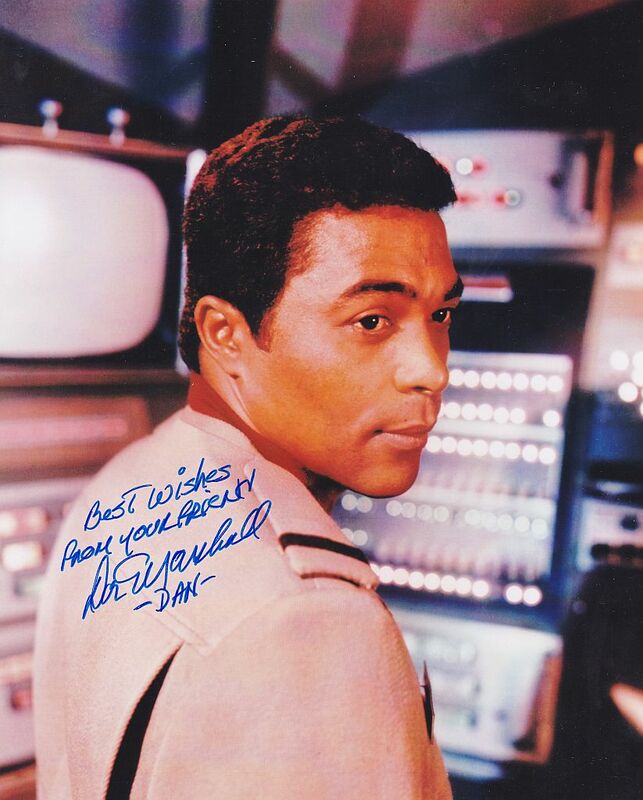 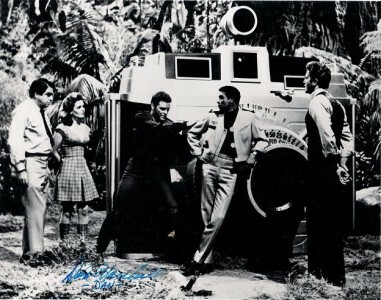 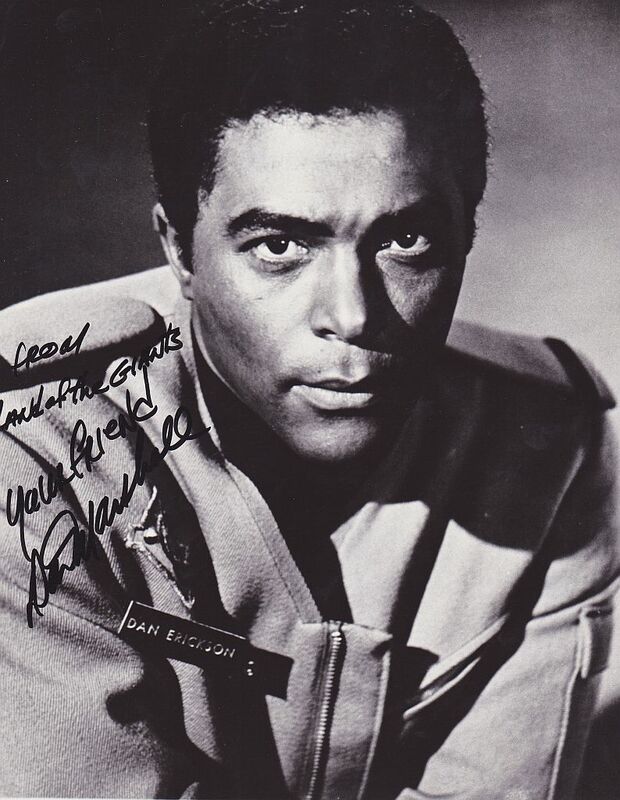 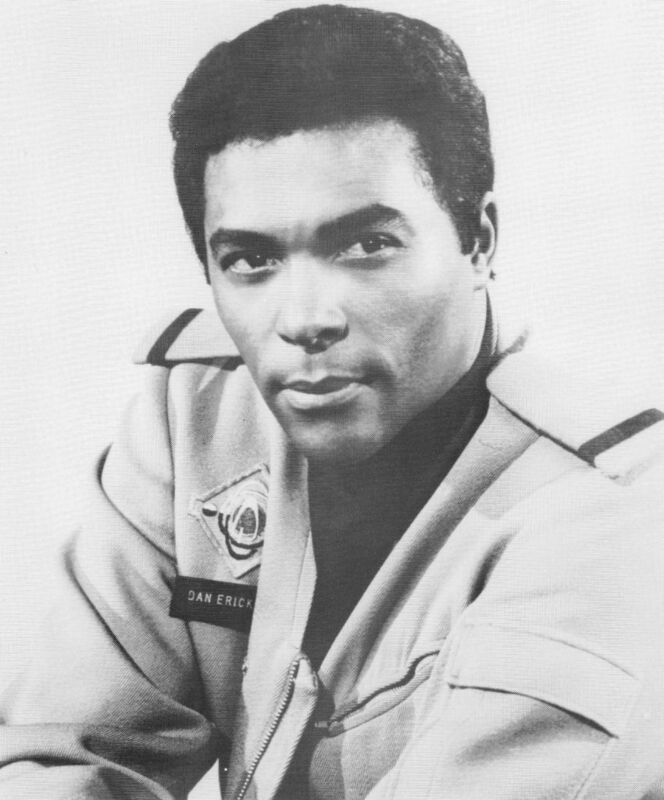 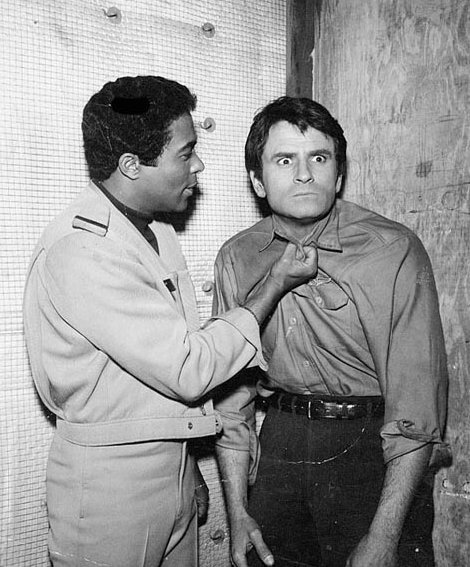 This note is from Don Marshall who played "Dan Erickson" The co-pilot in "LAND OF THE GIANTS." 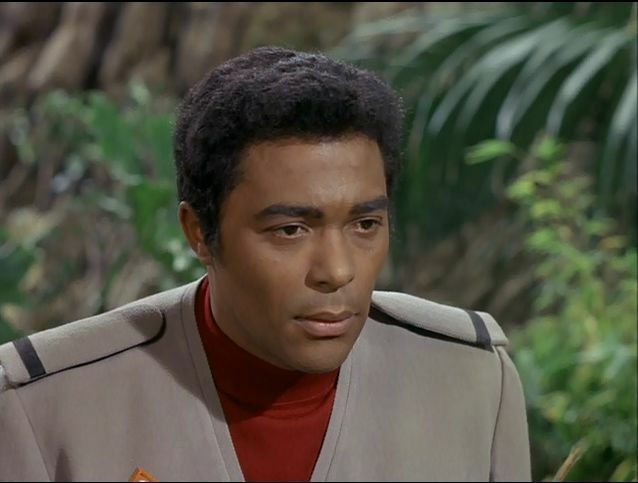 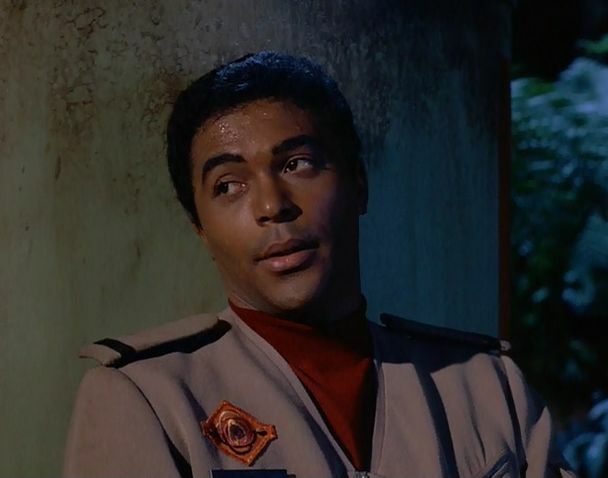 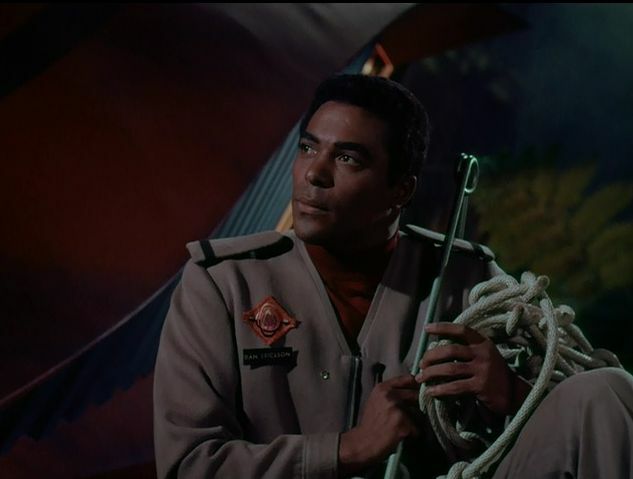 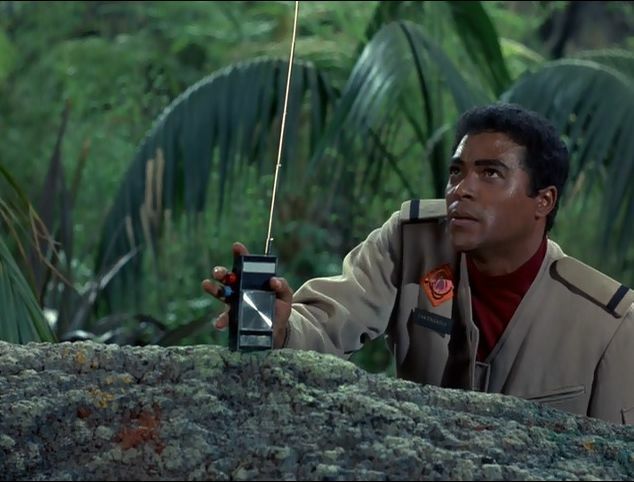 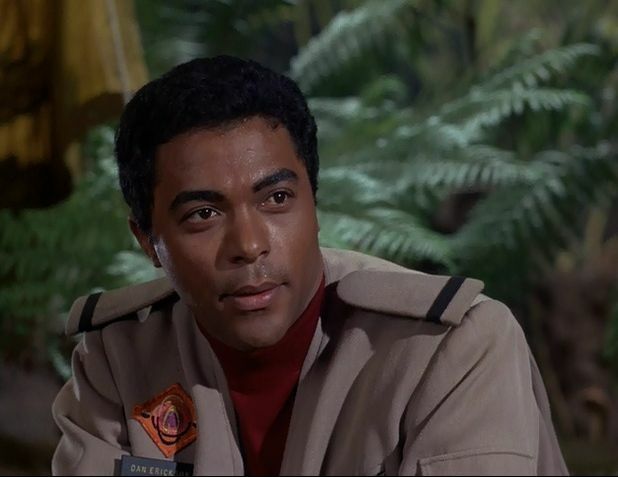 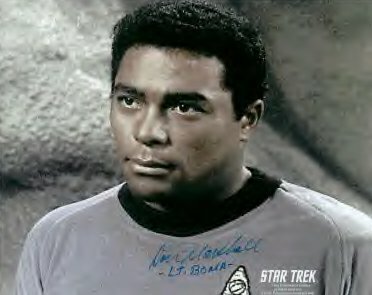 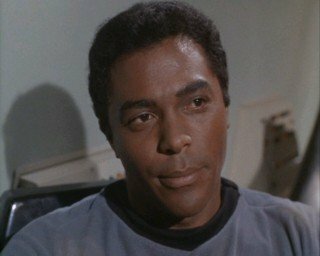 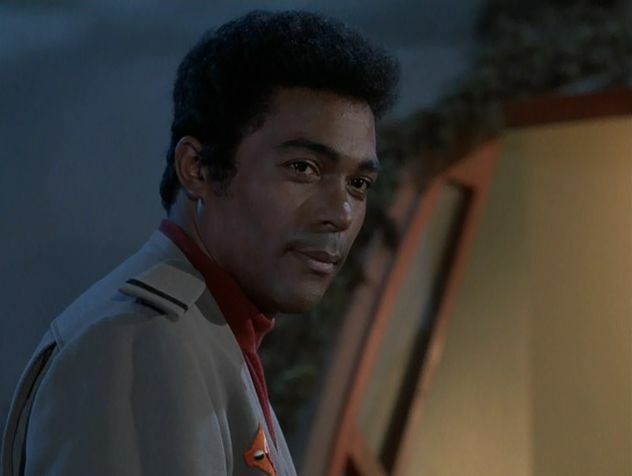 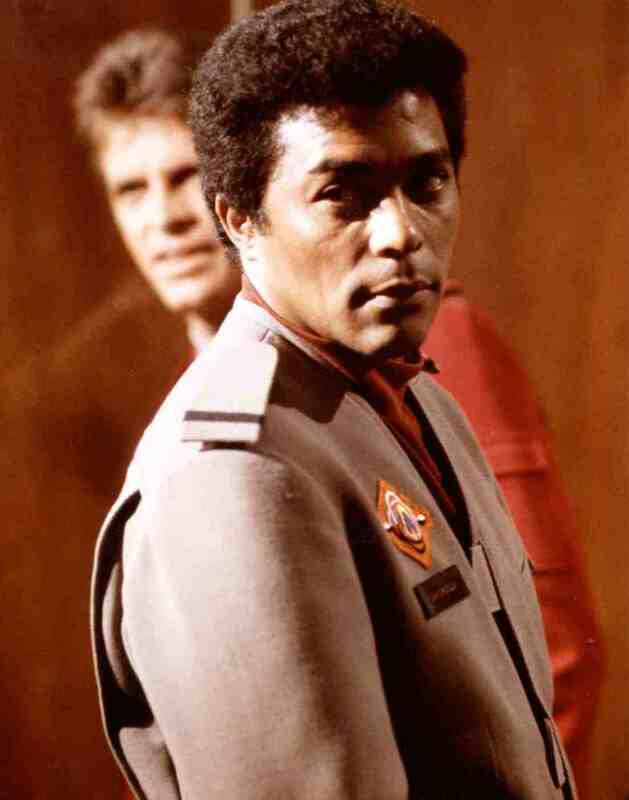 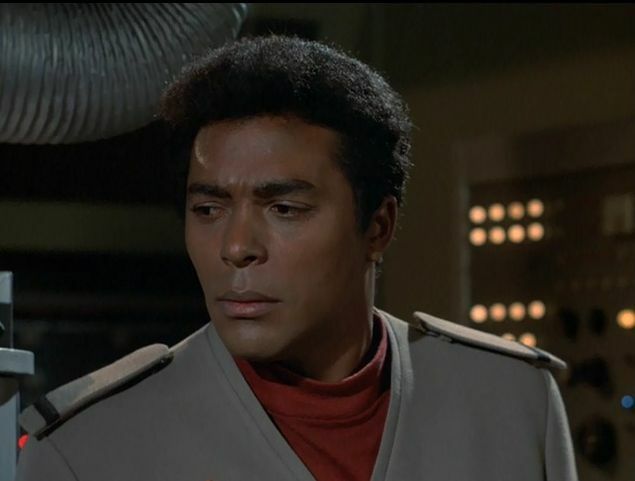 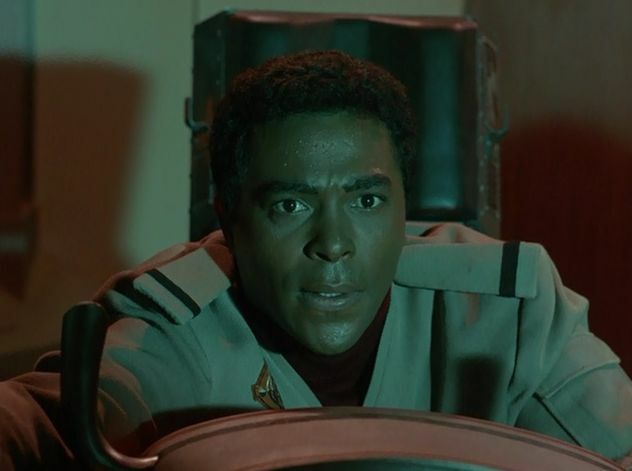 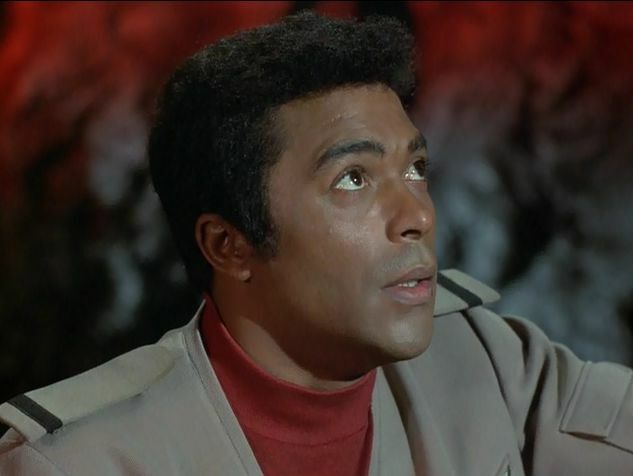 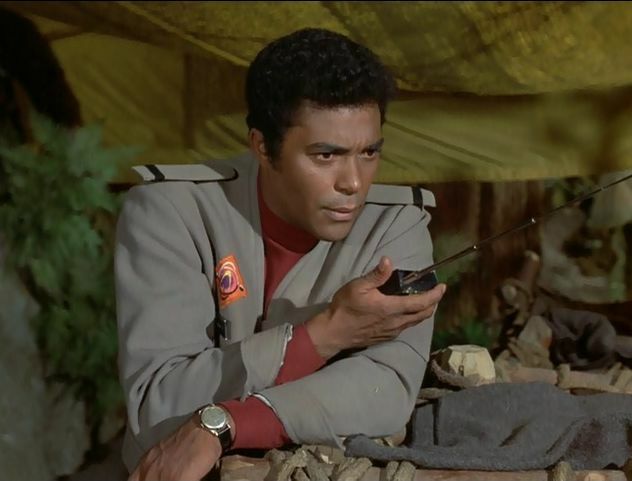 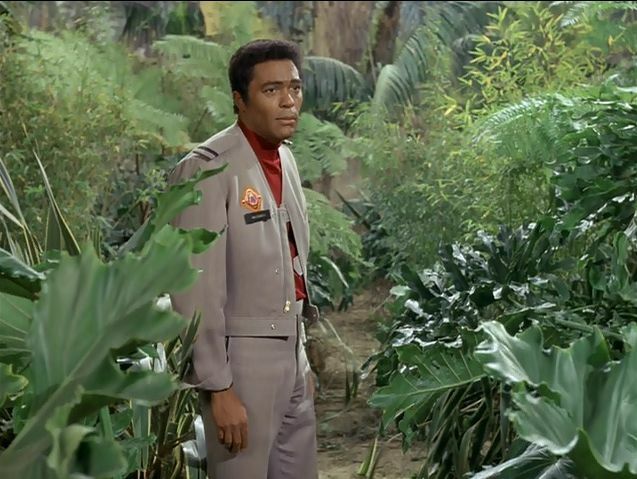 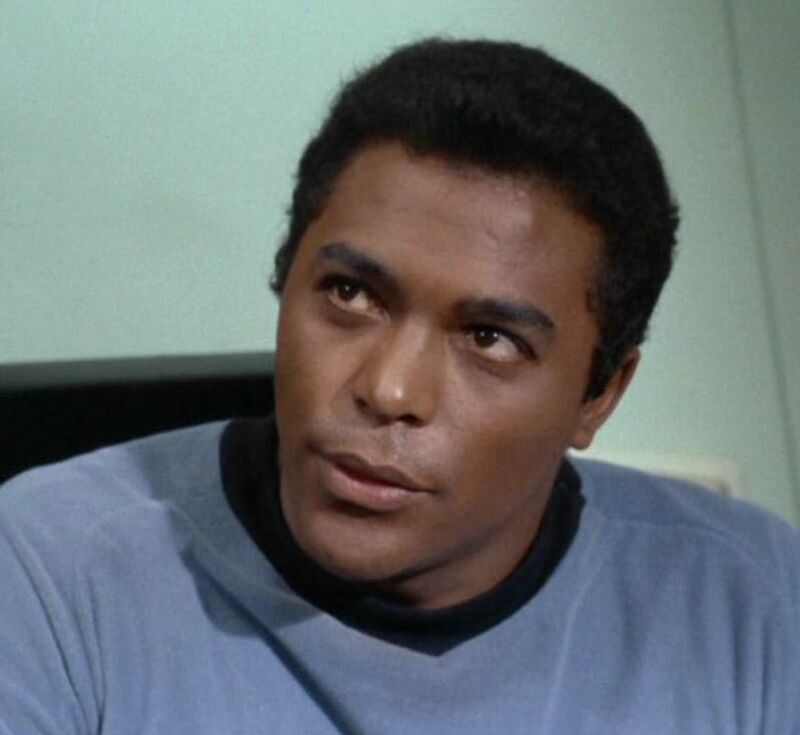 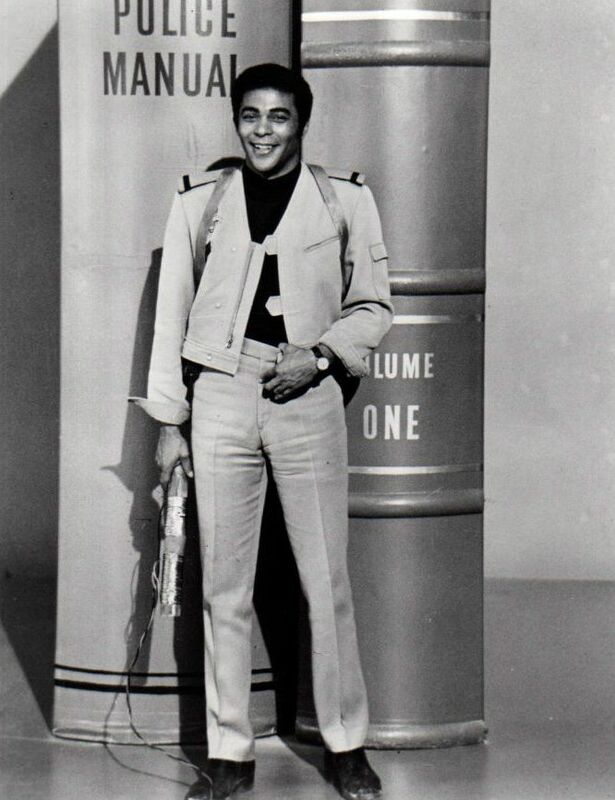 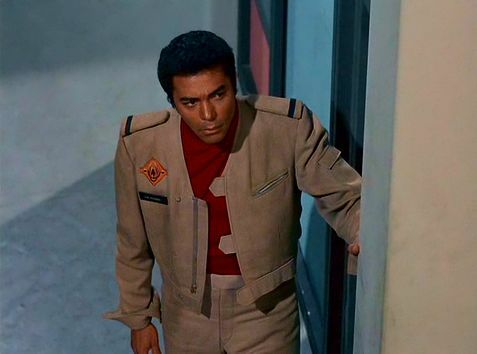 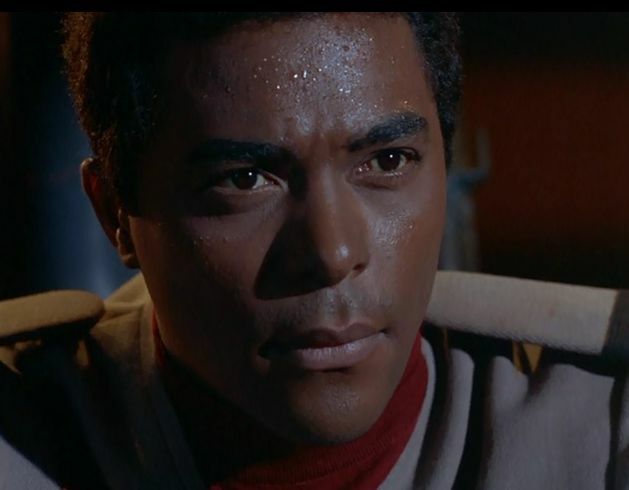 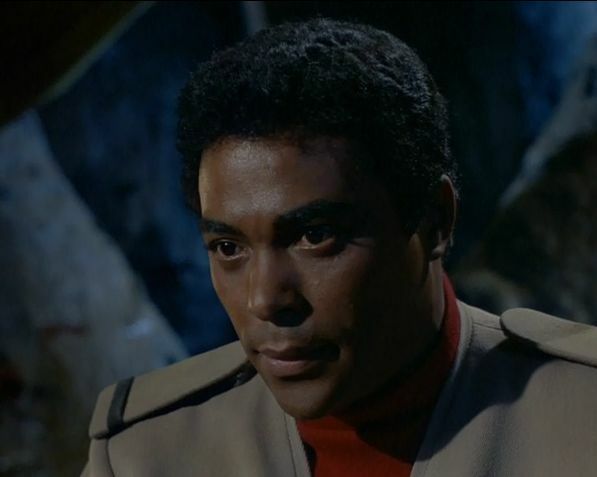 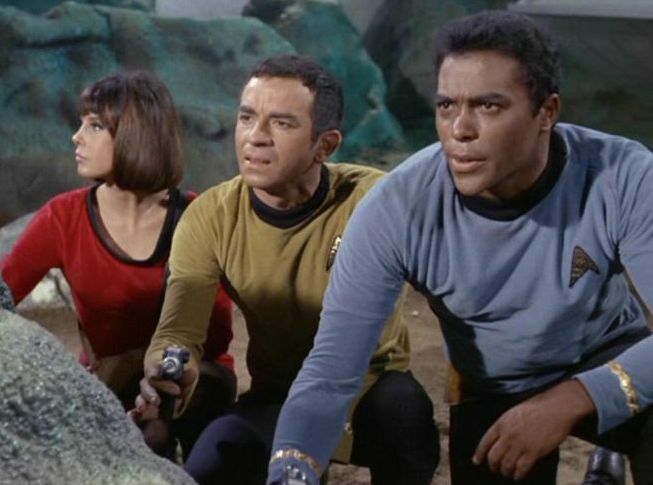 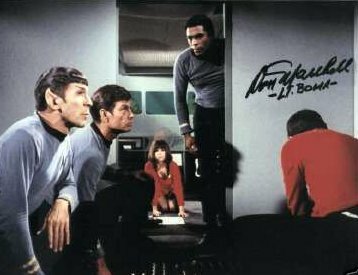 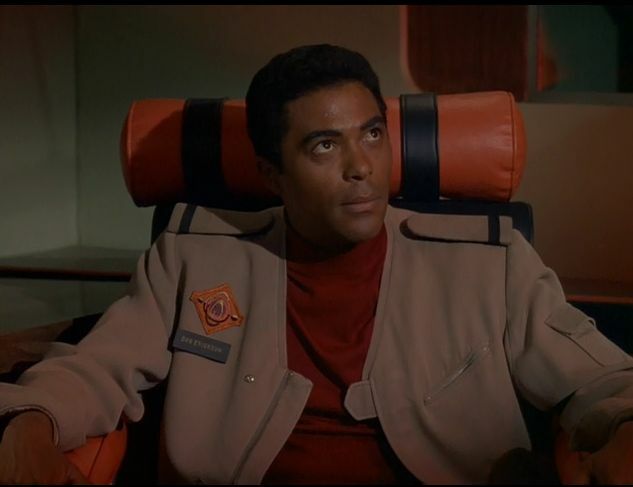 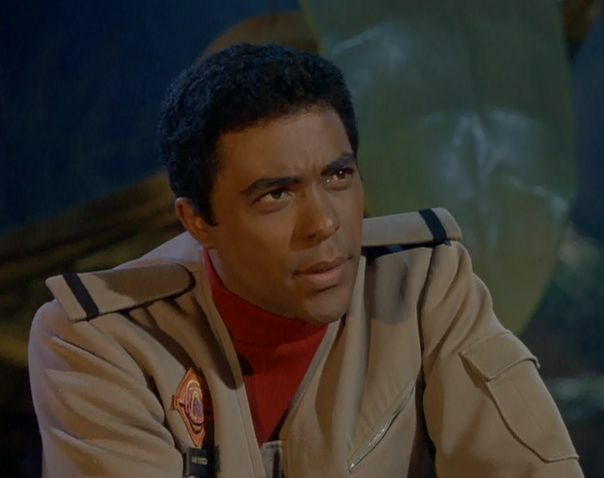 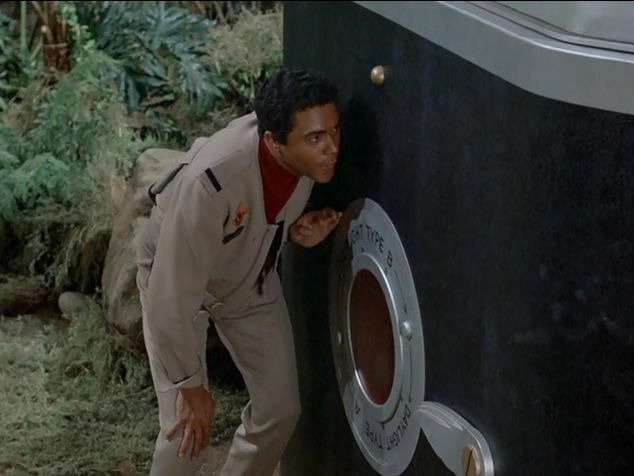 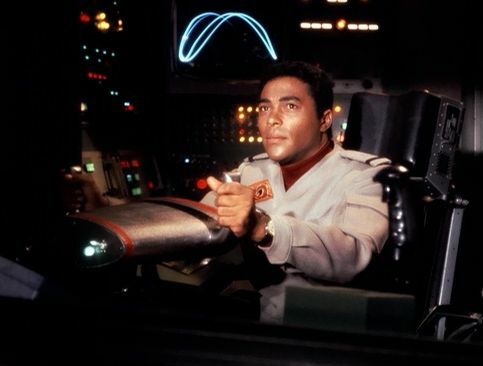 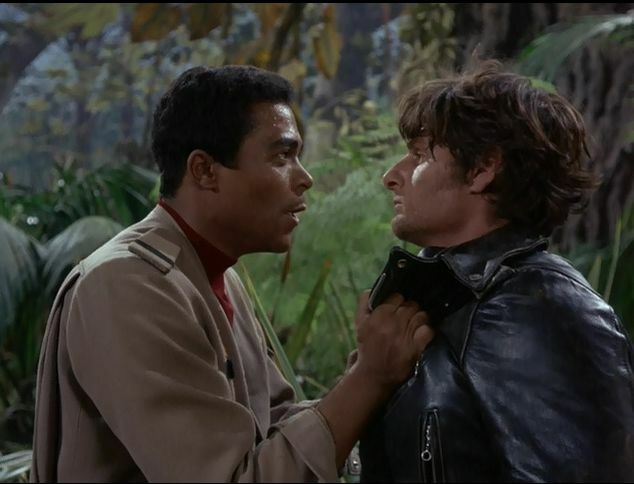 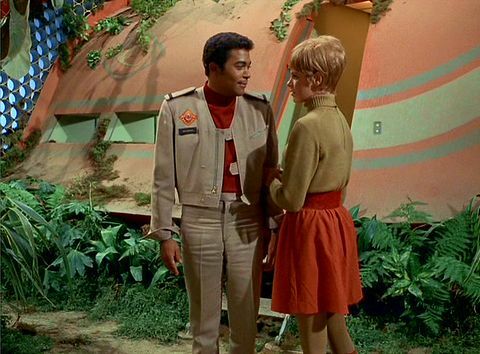 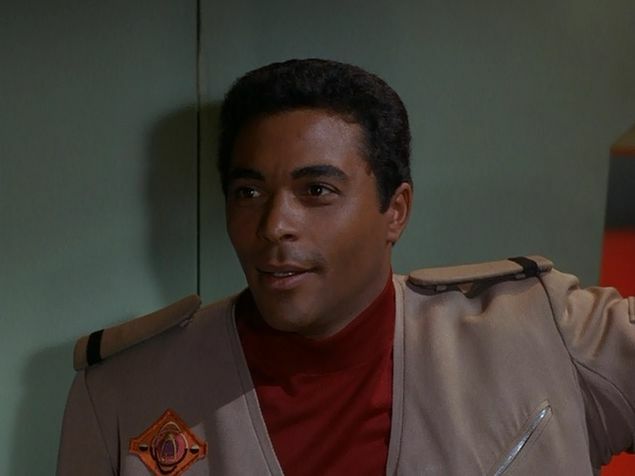 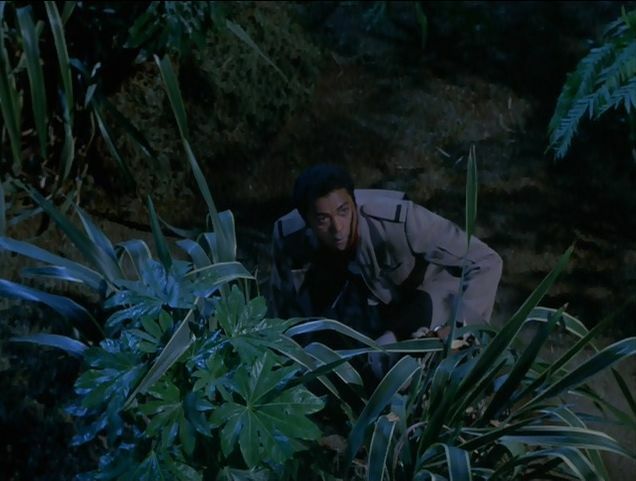 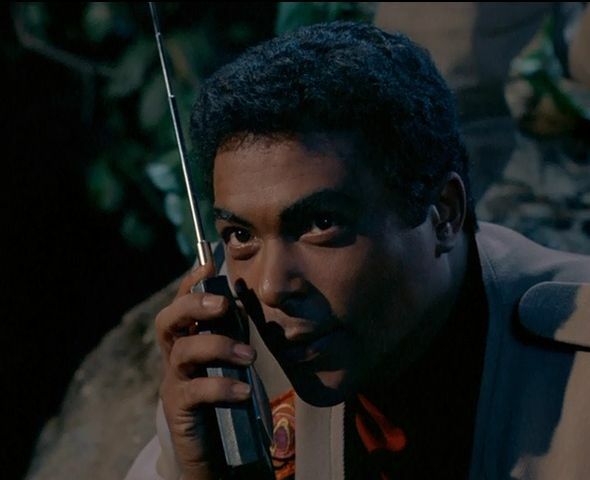 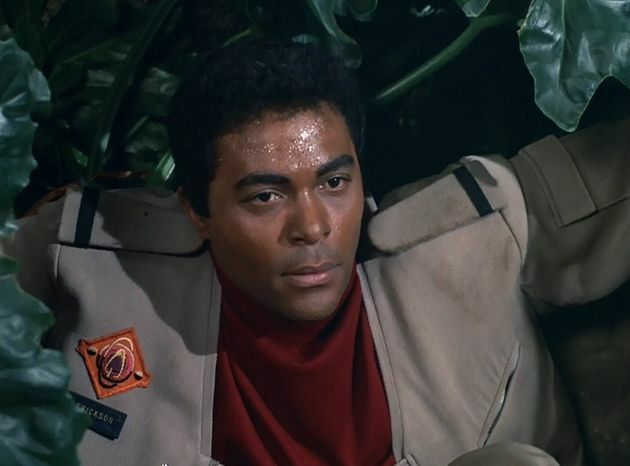 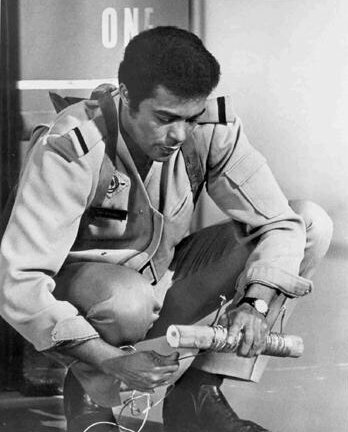 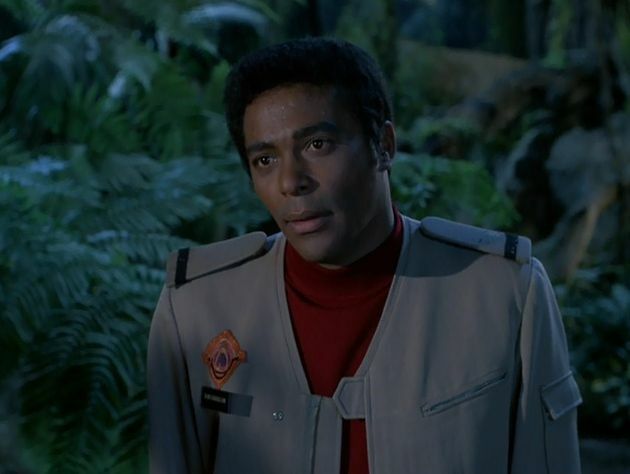 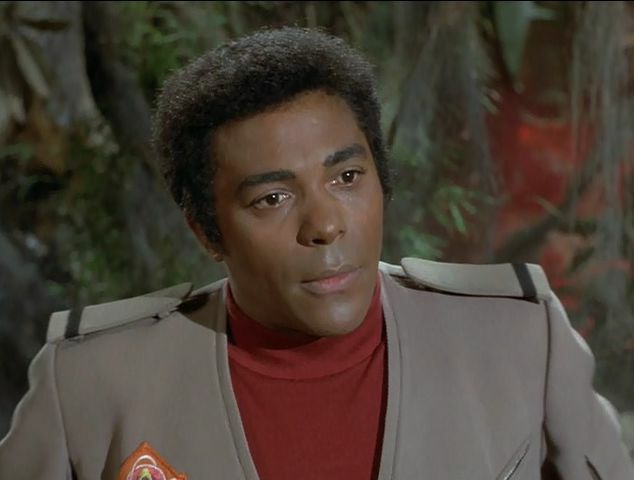 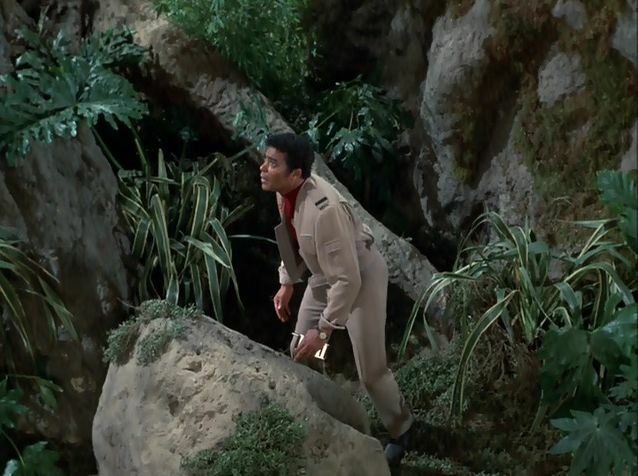 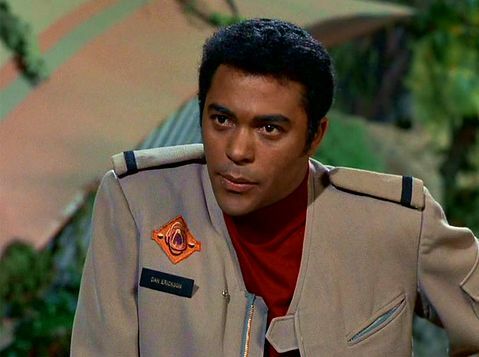 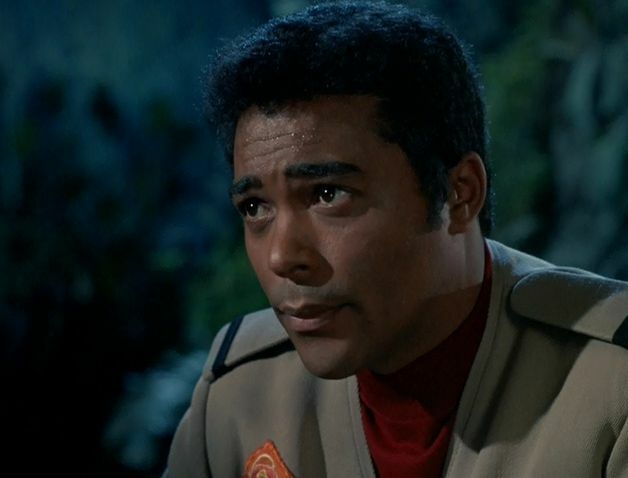 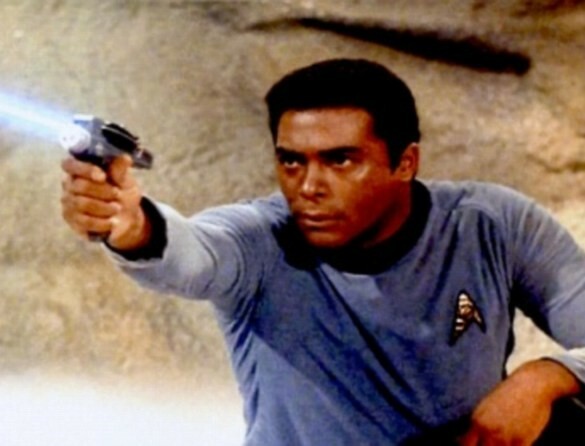 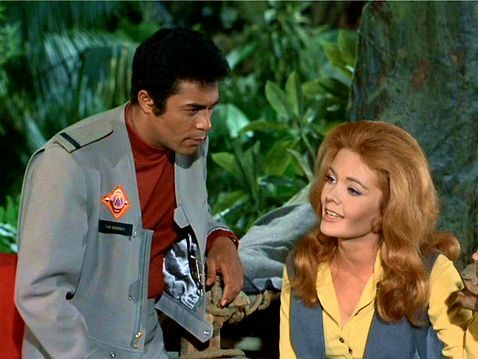 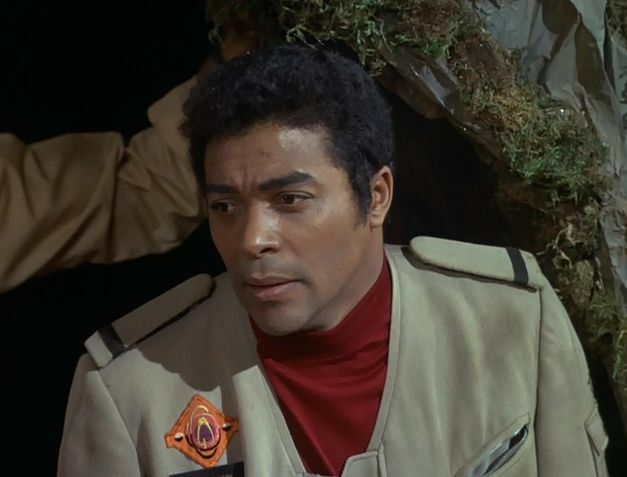 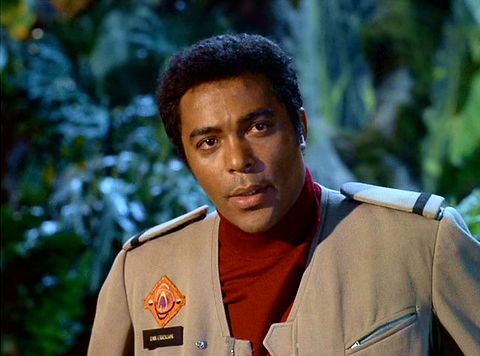 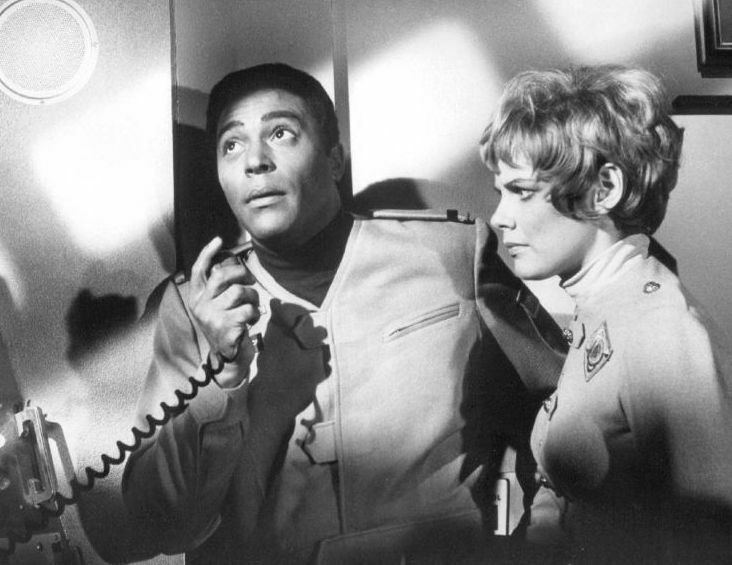 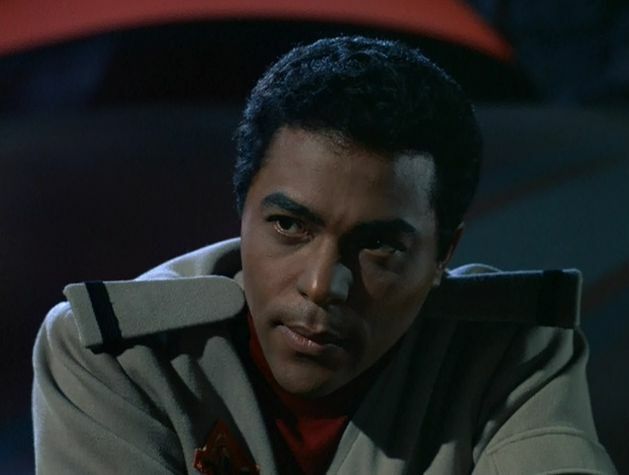 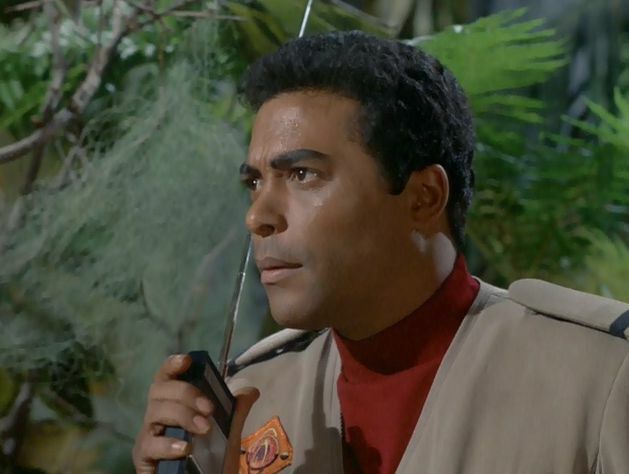 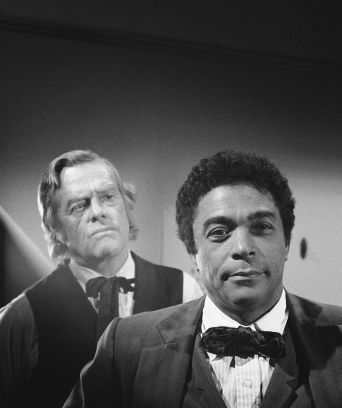 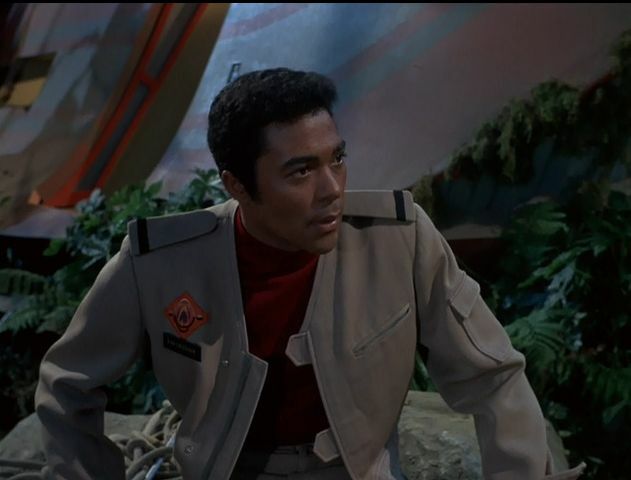 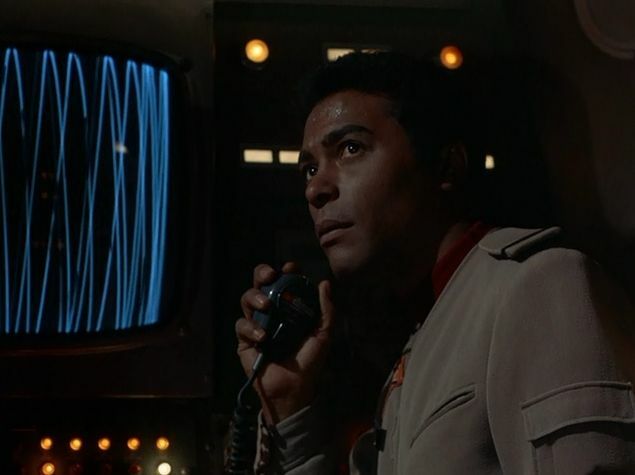 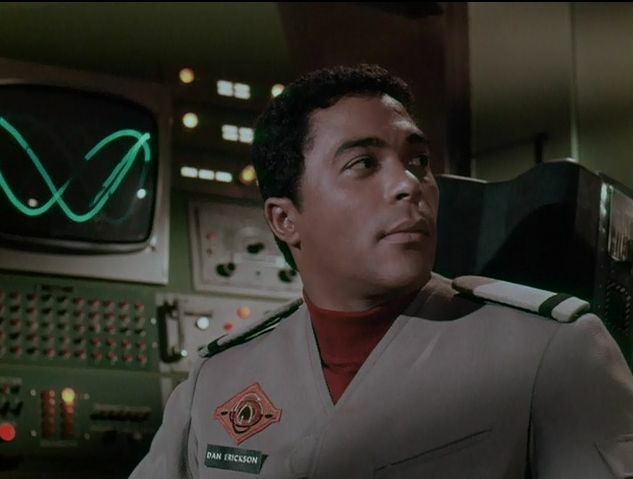 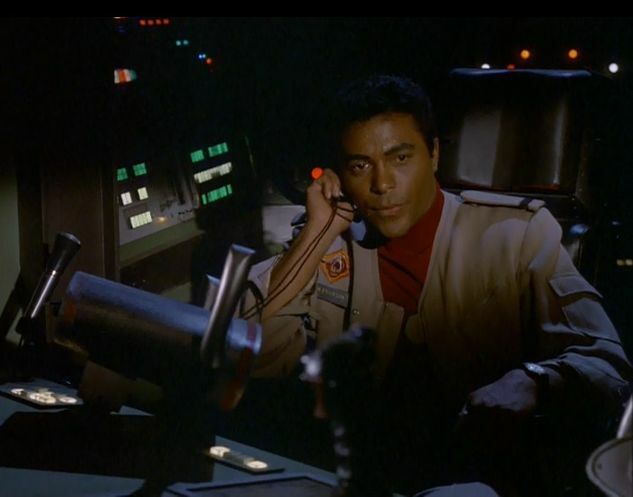 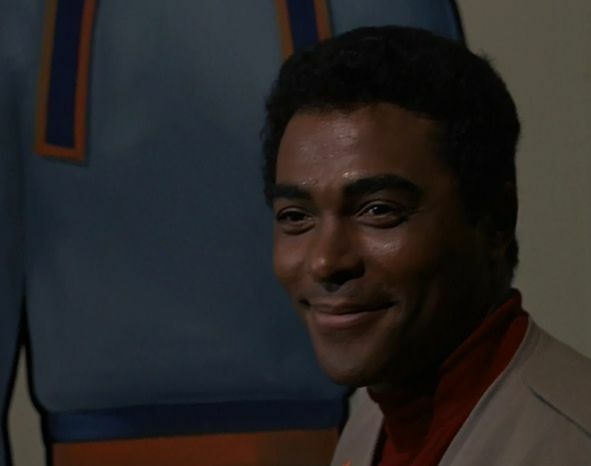 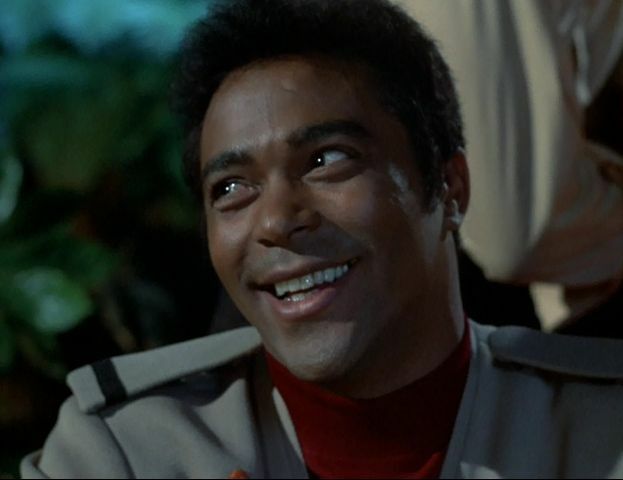 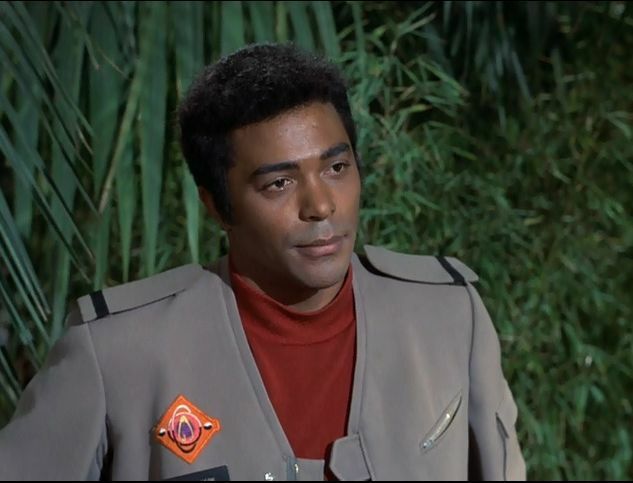 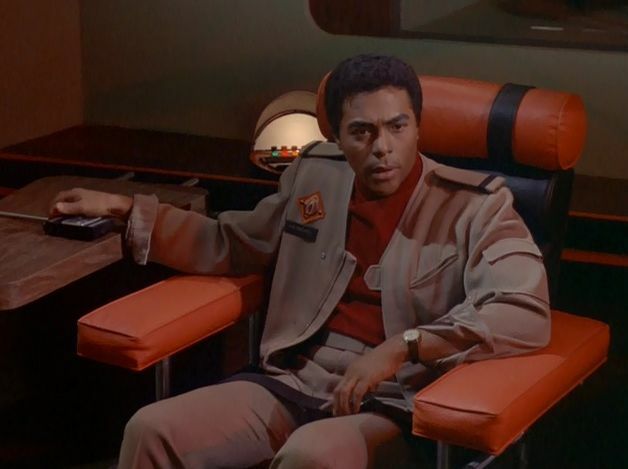 I also played, LT. BOMA in the originan STAR TREK'S "THE GALILEO SEVEN." 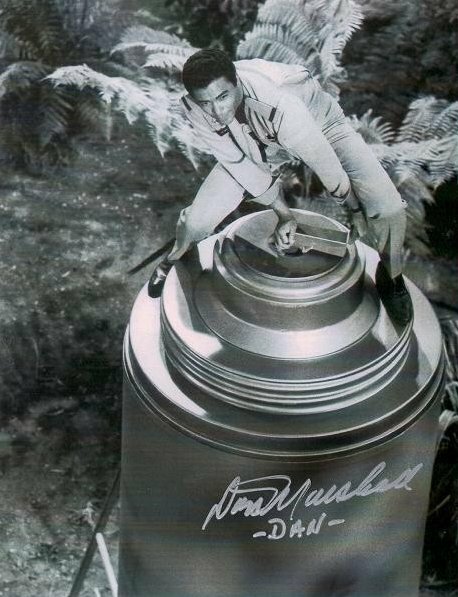 As some of you already know I have written a "LAND OF THE GIANTS " script to get produced as a film for Motion Pictures. 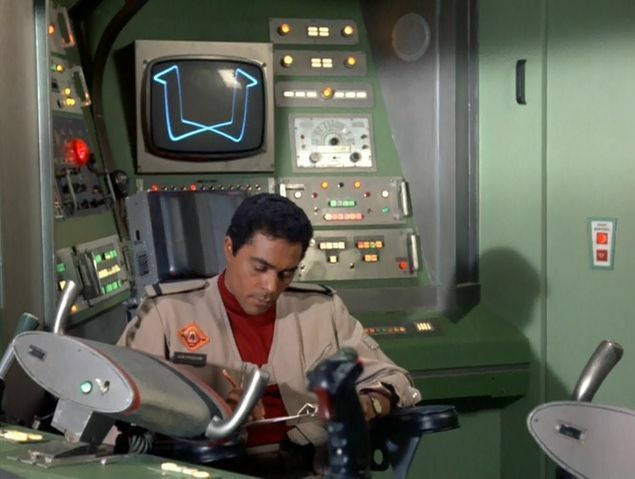 I am now completing the changes and revisions to the script for submission and I need your help (our Fans and supporters). 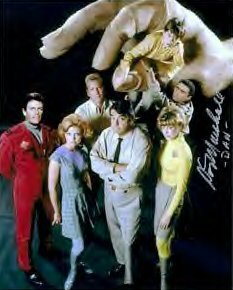 If you would like see the original cast as well as other little-people trapped on the Giant Planet try to make an escape together, PLEASE let the Studios know that our FANS want to see the ORIGINAL CAST in their ORIGINAL ROLES and that you DO NOT want to see an ALL NEW CAST in a "LAND OF THE GIANTS" Major Motion Picture. 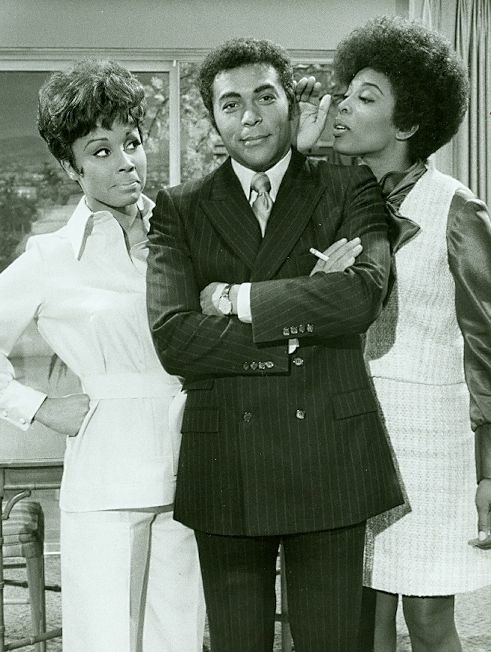 Please write to me or E-mail me so I can send them to the studio along with the script. 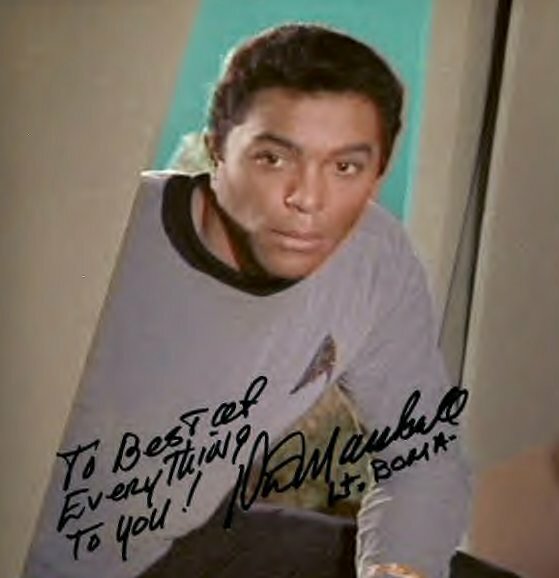 I feel that the studio may listen to the opinions of our Fans...I thank you in advance and hope to hear from you soon. 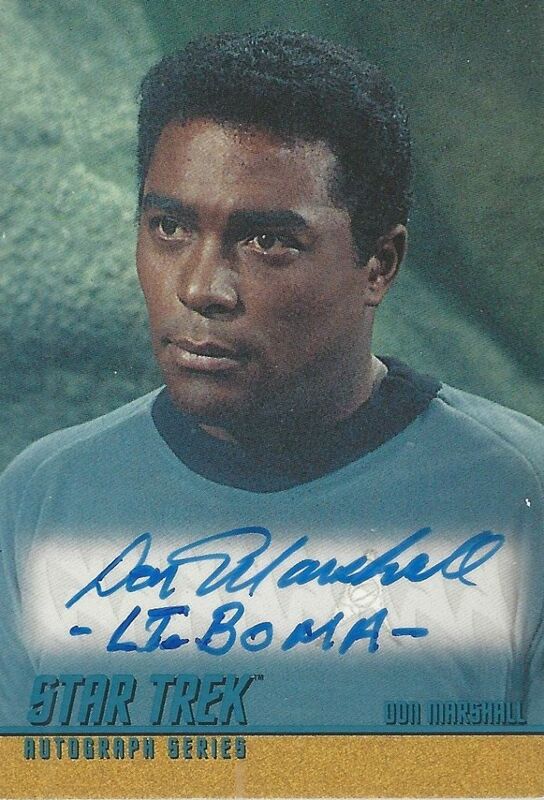 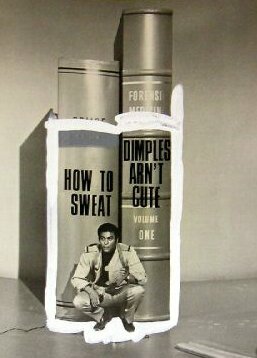 My E-mail address is: donboma@juno.com and my Mailing address is: DON MARSHALL P.O. 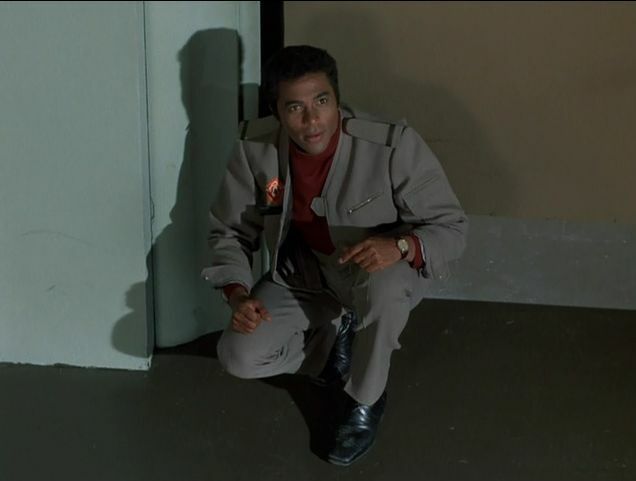 Box 691449 W. Hollywood, CA 90069.
Notable TV Guest Appearances "Finder of Lost Loves" (1984) playing "Doctor Jim Blair" in episode: "Forgotten Melodies" (episode # 1.11) 22 December 1984 "Little House on the Prairie" (1974) playing "Caleb Ledoux" in episode: "Dark Sage" (episode # 8.4) 26 October 1981 "Incredible Hulk, The" (1978) playing "Man" in episode: "Deathmask" (episode # 3.20) 14 March 1980 "Buck Rogers in the 25th Century" (1979) playing "Julio" in episode: "Planet of the Slave Girls" (episode # 1.3) 27 September 1979 "Incredible Hulk, The" (1978) playing "Doctor" in episode: "Mystery Man: Part 1" (episode # 2.16) 2 March 1979 "Incredible Hulk, The" (1978) playing "Lee" in episode: "The Hulk Breaks Las Vegas" (episode # 1.6) 21 April 1978 "Hardy Boys/Nancy Drew Mysteries, The" (1977) playing "Flight Engineer" in episode: "The Strange Fate of Flight 608" (episode # 2.8) 6 November 1977 "Bionic Woman, The" (1976) playing "Captain Colter" in episode: "The Vega Influence" (episode # 2.11) 1 December 1976 "Good Times" (1974) playing "FBI Agent" in episode: "The Investigation" (episode # 3.20) 27 January 1976 "Bewitched" (1964) playing "Keith" in episode: "Sisters at Heart" (episode # 7.13) 24 December 1970 "Dragnet 1967" (1967) playing "Officer Dave Evans" in episode: "Community Relations - DR-10" (episode # 3.3) 3 October 1968 "Ironside" (1967) playing "Joe Masterson" in episode: "Let My Brother Go" (episode # 1.8) 2 November 1967 "Tarzan" (1966) playing "Kimini" in episode: "The Fanatics" (episode # 2.7) 27 October 1967 "Dragnet 1967" (1967) playing "Officer Dave Roberts" in episode: "The Shooting" (episode # 1.11) 30 March 1967 "Star Trek" (1966) playing "Lt. Boma" in episode: "The Galileo Seven" (episode # 1.16) 5 January 1967 "Mr. 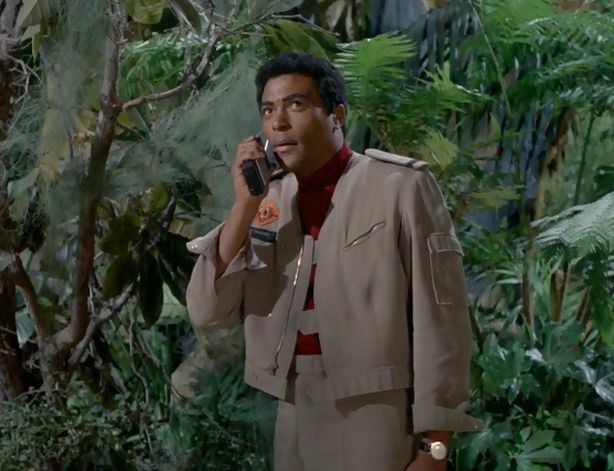 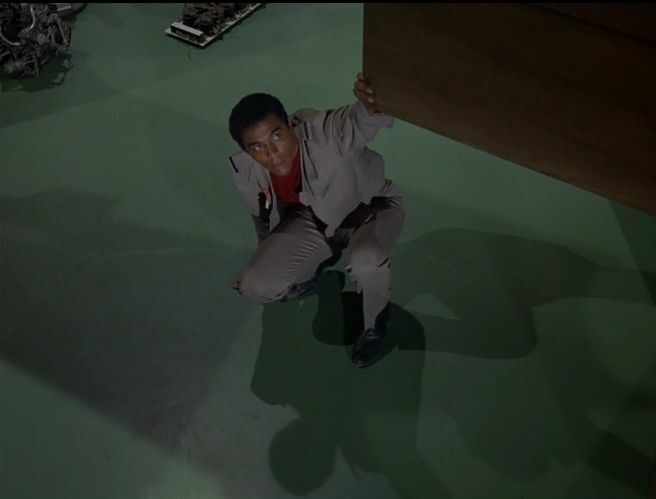 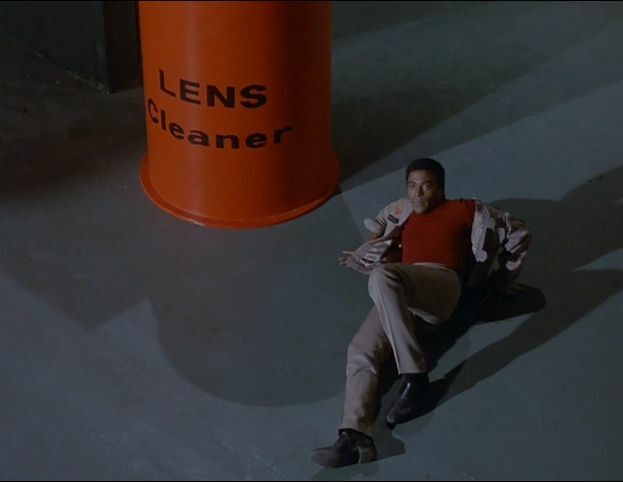 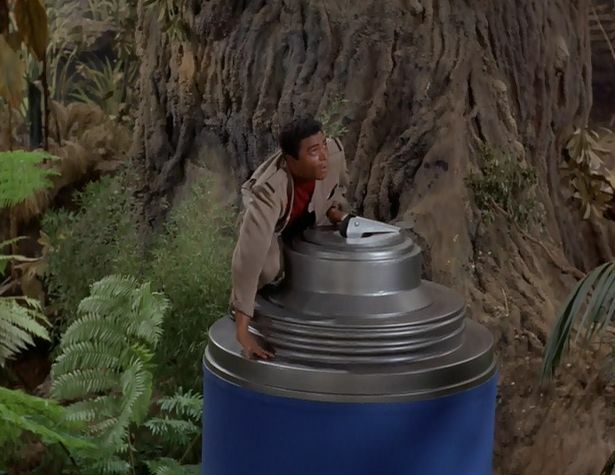 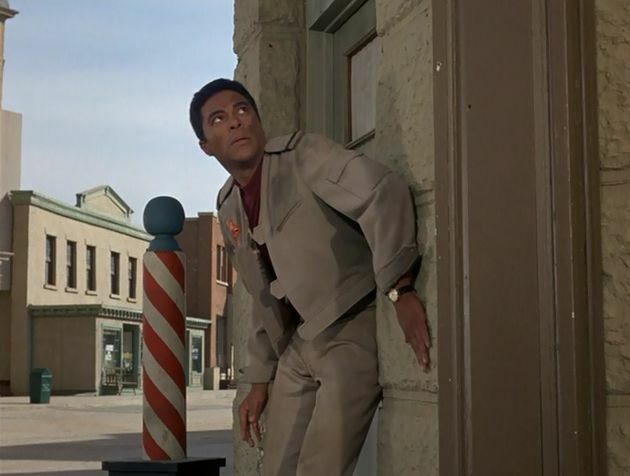 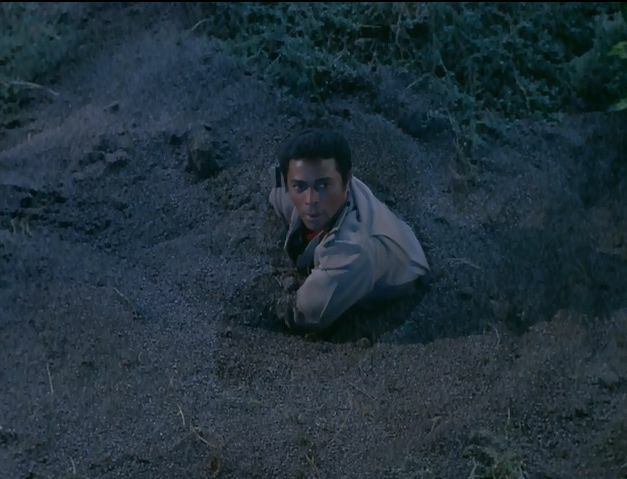 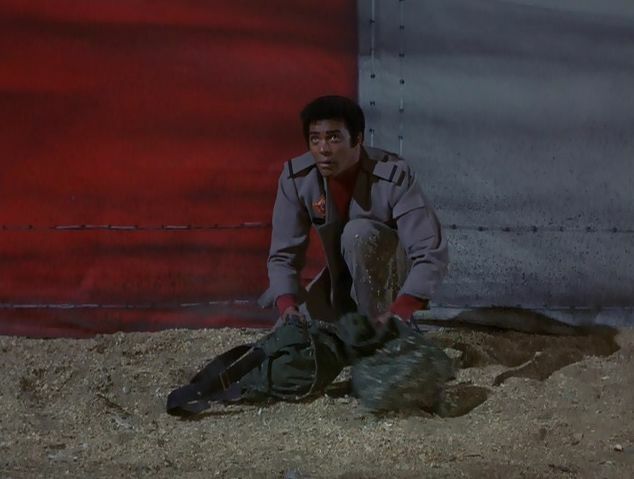 Terrific" (1967) in episode: "Stanley the Track Star" "Twelve O'Clock High" (1964) playing "Sgt. 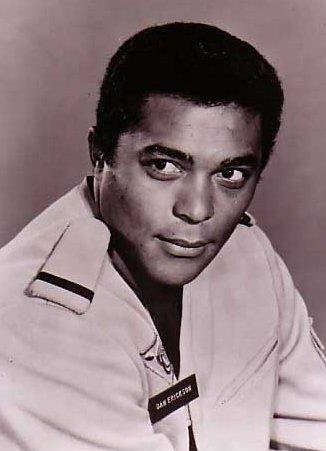 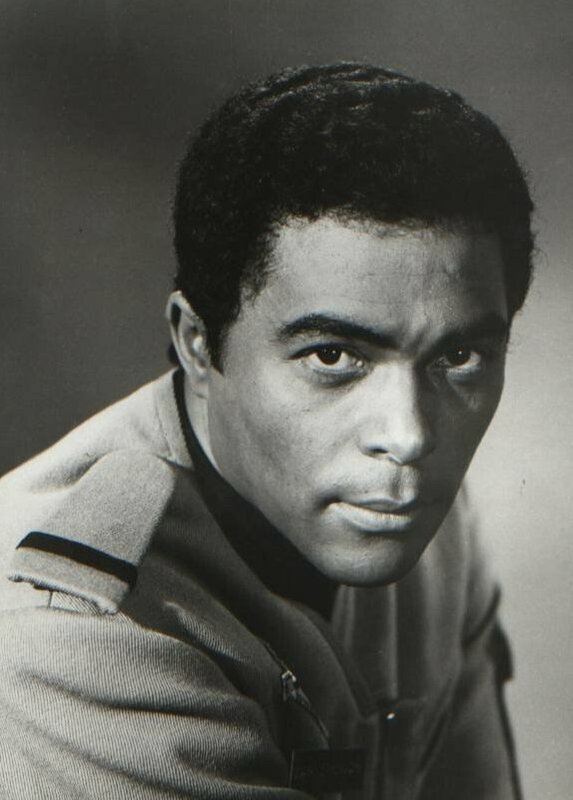 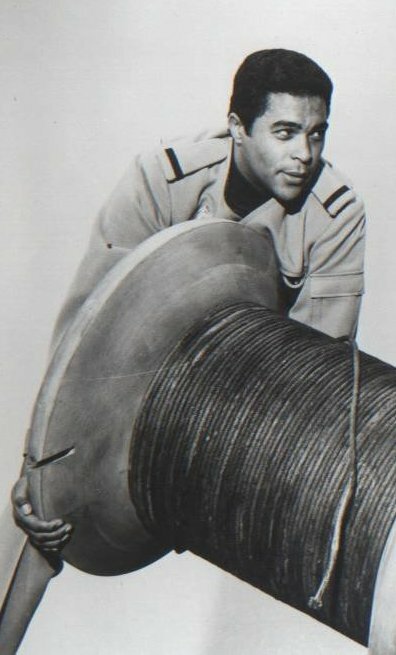 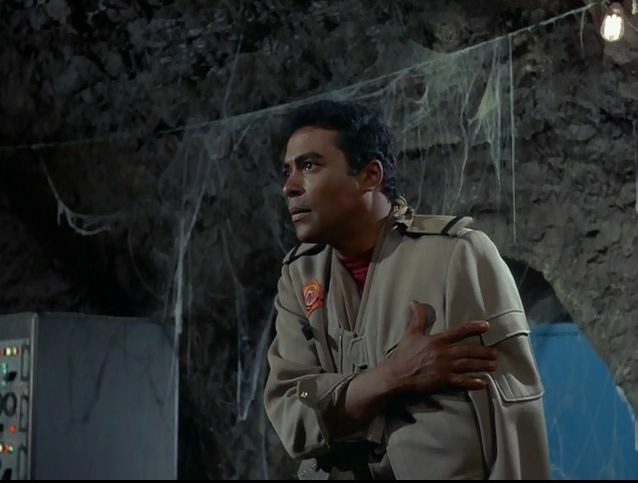 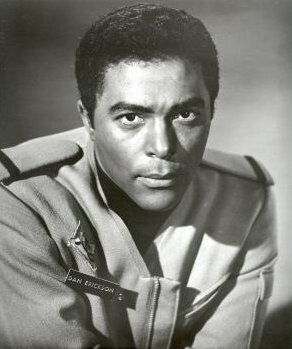 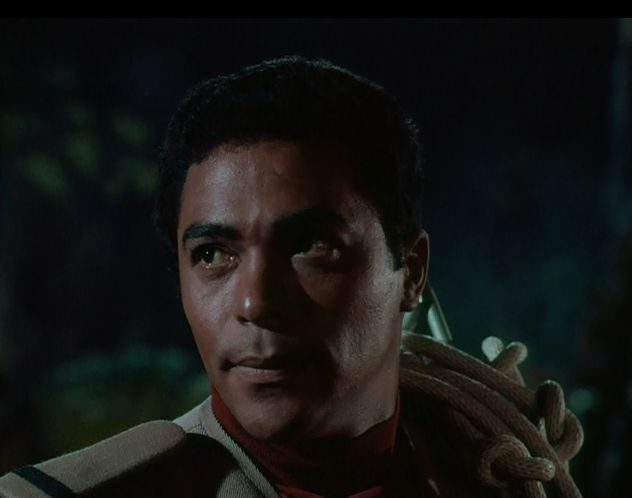 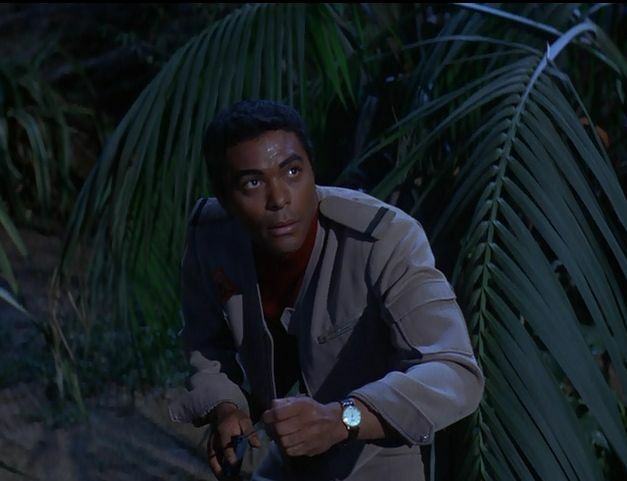 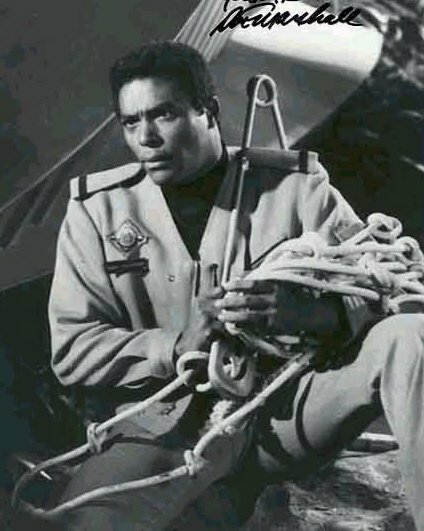 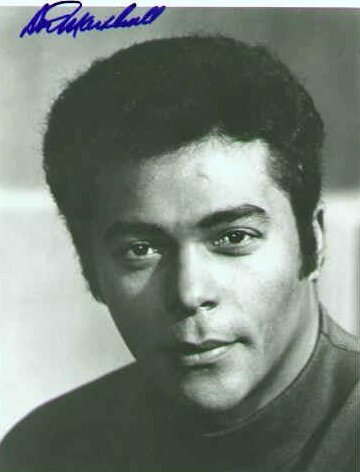 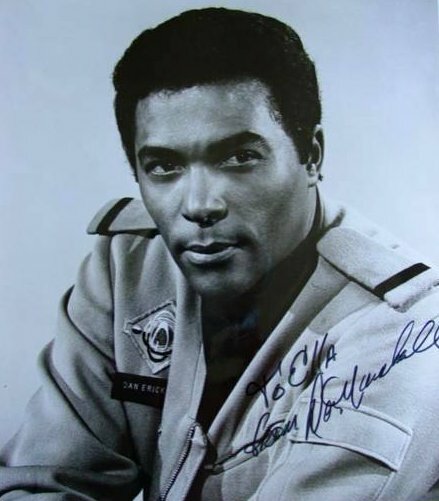 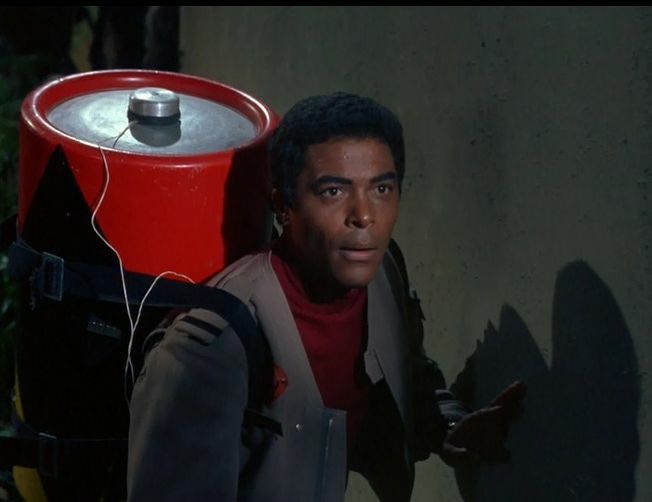 Earl Conklin" in episode: "Graveyard" (episode # 3.15) 30 December 1966 "Mission: Impossible" (1966) playing "Police Officer" in episode: "The Ransom" (episode # 1.7) 5 November 1966 "Daktari" (1966) playing "Luke" in episode: "The Killer Lion" "Daktari" (1966) playing "Luke" in episode: "Predator of Wameru" "Daktari" (1966) playing "Luke" in episode: "Trail of the Cheetah"